Expected price of Nokia 4.2 in India is expected to be Rs. 12,190. 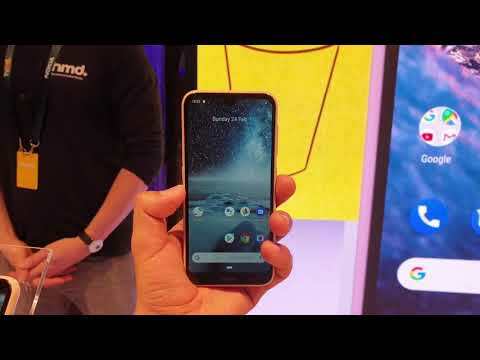 Nokia 4.2 Expected to be launched on 30th April 2019. The 400GB / 2GB variant of Nokia 4.2 costs around Rs. 12,190 and expected to available in Silver, Dark Blue and Midnight Black colour. The Nokia 4.2 arrives with many features and an amazing display. Its sleek design and water drop notch adds beauty to the product. One of the highlighting features is its camera quality that proves as an asset to the product. It also features a fingerprint scanner that lets user unlock it in a faster and more secure way. The handset also provides a good battery backup and storage. Overall, Nokia 4.2 is a decent product to buy in this price range. Nokia 4.2 flaunts its 5.71-inch bezel-less LCD screen providing a screen resolution of 1,520 x 720 pixels with a pixel density of 295 PPI that enhances the user experience of viewing contents. It also comes with a Waterdrop notch that does not let user compromise with the status bar space and an aspect ratio of 19:9 which, adds elegance to it. The smartphone is mounted on 64-bit octa-core Qualcomm Snapdragon 439 processor operating at a clock speed of 1.95GHz accompanying 2GB RAM which is sufficient to handle all your applications. It is fed with Adreno 505 as a GPU that effectively shares the load of the processor. The device comes with a 13MP rear camera and an 8MP front camera which is the highlighting factor. The camera features ISO control, Touch to focus, White balance presets that makes the click more beautiful and elegant. The Nokia 4.2 offers a battery capacity of 3000mAh and a standby time of 600hrs on 4G as claimed by the company. As for storage, it houses inbuilt storage of 16GB with an additional expandable memory up to 400GB via SD card. In terms of connectivity, it comes with a single SIM slot that supports 4G VoLTE. Other features include Bluetooth, Wi-Fi, GPS with A-GPS, Glonass, etc.